Here’s a list of OPPO smartphones that will be a part of the Lazada 9.9 Sale event on September 9, 2018. The OPPO F5, OPPO F3 Plus, and the OPPO F3 will be part of Lazada’s 9.9 Sale event at discounted prices. Those interested can go to OPPO’s flagship store on LazMall for more details. 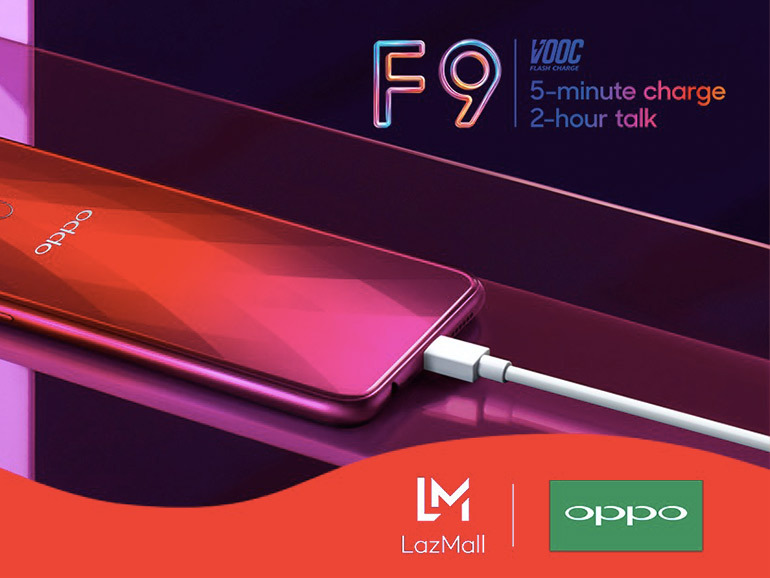 The OPPO F9 is also going to be a part of the sale event. It won’t be discounted like the older models, but those who will purchase a unit will get PHP1,500 worth of freebies. 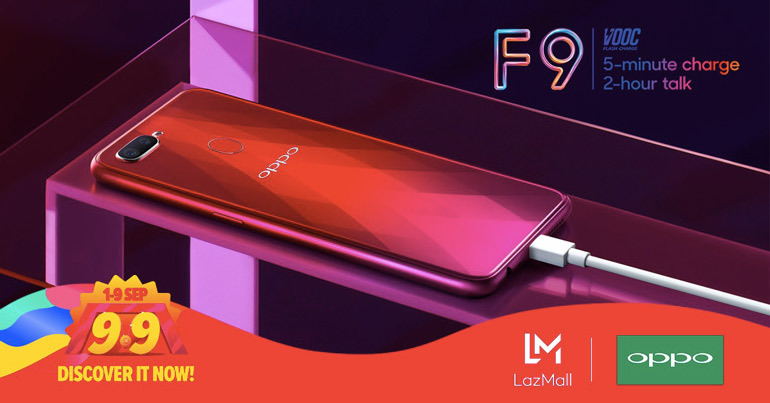 Priced at PHP17,990, the OPPO F9 features a 6.3-inch full HD+ Waterdrop display, a 90.8% screen-to-body ratio, 2.0GHz octa-core MediaTek Helio P60 processor, 6GB RAM, 64GB of expandable storage, a 25MP selfie camera, and a 16MP + 2MP dual sensor module at the rear. It is powered by a 3,500 mAh battery with VOOC fast charging, and runs on ColorOS 5.2 based on Android Oreo.